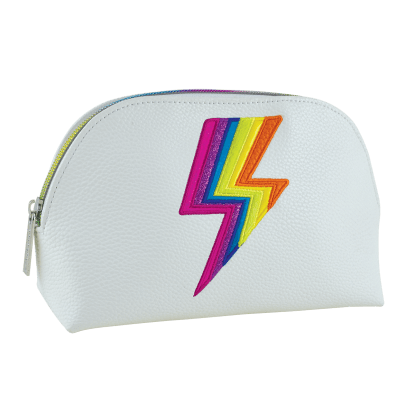 Pack a colorful punch with our rainbow lightning duffle bag. 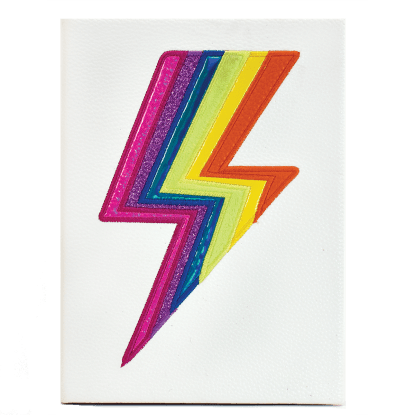 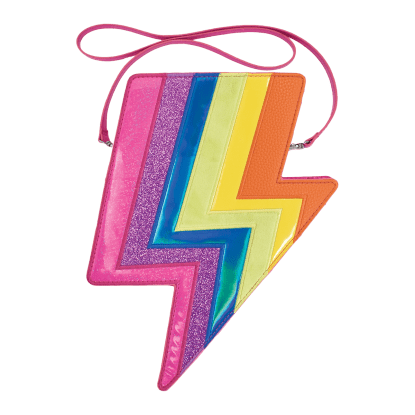 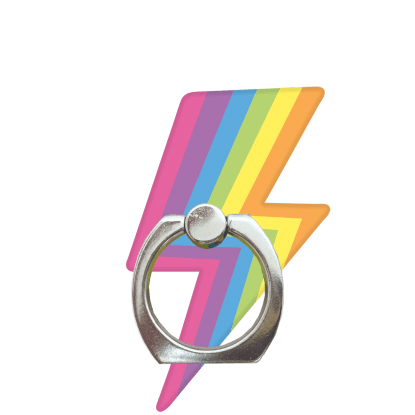 Faux pebbled leather is accented with a bright, rainbow-colored lightning bolt made of mixed fabrics. 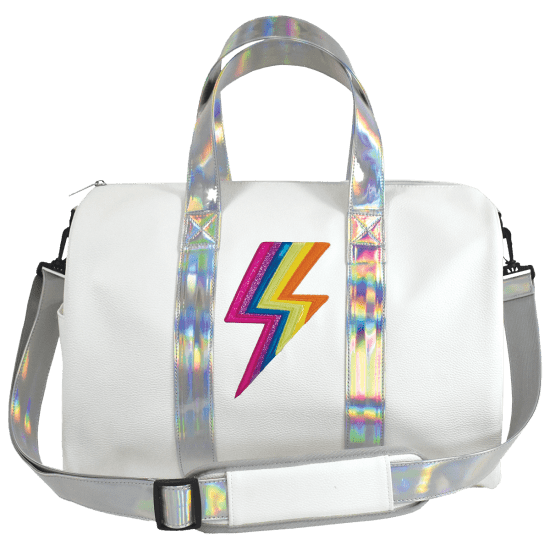 With sizable double handles and an adjustable padded shoulder strap, this roomy bag is a fun and comfortable way to head out to your big game or on a weekend getaway in style.